All MTW members from NLHS/STMHS must see either Mrs. Robbins or Mrs. Zimbelman by next Thursday as we plan our Annual International Night. The Multi-Cultural Club is hosting a Movie Day at the Magnet School in culmination of Black History Month. 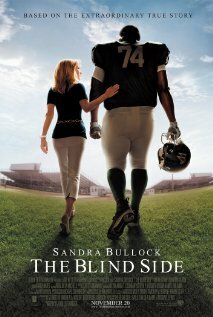 They'll will be showing The Blind Side in the Magnet School Lecture Hall @2:15 on Thursday, March 1. Free snacks! Please let Dr. Graner know if you are interested in facilitating dialogues at the elementary school we discussed at our last meeting. Just posted the agenda for Friday, February 17. I will be meeting with Lou Gabordi this Friday, Feb. 10, at 1:30 p.m. in his office. If you are free, please join us in person or by phone to help plan the Feb. 17 workshop. For anyone who can't come to the meeting, we can set up a conference call; just let me know if you are interested. LHS students, please return your permission slip to the main office before February 17. You can pick one up in the main office or print one here. We have confirmed that our next meeting will be on February 17th at Connecticut College. More details to come.